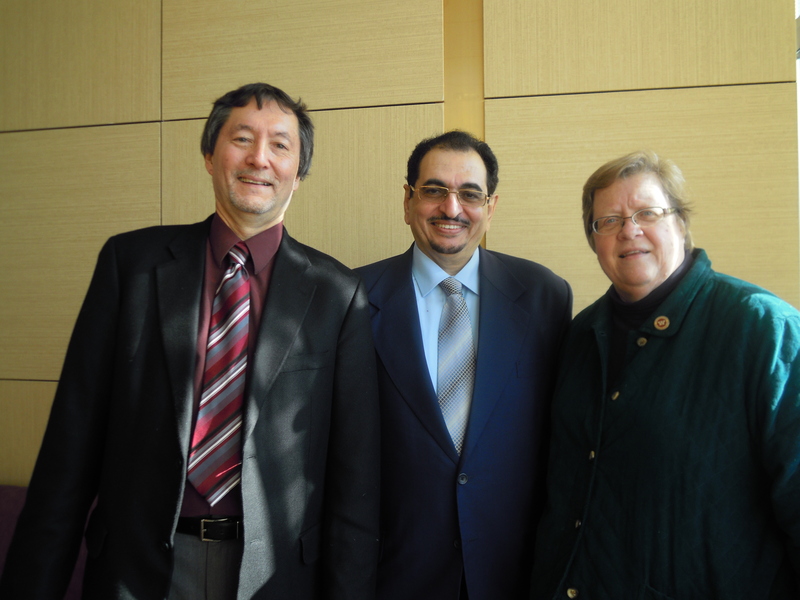 Educational psychology alumnus Dr. Zayed Al Harethi was awarded the CEHD Distinguished International Alumni Award in 2014 and had the opportunity to travel to Minnesota to receive his award the week of February 8, 2016. Dr. Al Harethi received his Ph.D. in 1985 from the Department of Educational Psychology and had the opportunity to work with Dr. Geoffrey Maruyama as his adviser. He rose from a position on the faculty of Umm Al-Qura University in Mecca to department chair, dean, and a national leader in the fields of education and psychology. During his time at the University of Minnesota, Dr. Al Harethi chose to concentrate on multiple interrelated topics in education: attitudes, attitude change in people, how attitudes are formulated and developed. Specifically, he wanted to understand how attitudes can be changed in the domain of education and social life. Dr. Al Harethi credits Dr. Maruyama as the individual who “introduced, opened, and facilitated the road for me to know and study with great scholars at the University of Minnesota by expanding my background and understanding of psychology.” The skills and experiences that he gained from the University of Minnesota are what he acknowledges as the backbone for the continuation in his impressive career. Congratulations to Dr. Al Harethi on his continuing advancements in the field of educational psychology.